Stellar Data Recovery Bangalore is one of the fifteen branches of Stellar Data Recovery spanned across India, as well one of the five offices in Southern India. The Bangalore branch is having the expert data recovery professionals, proprietary data recovery software, and A-one services (data recovery, data migration, and data erasure) unrivalled by competitors. All cases of data loss disaster encountered in hard disk drives, solid-state drives, RAID/NAS/SAN servers, mobile phones, memory cards, pen drives, and other storage media with extreme care in this branch. 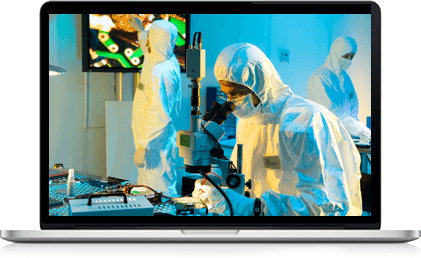 Count on the expert hands of our professionals, who treat each case as a master case and execute the data recovery process to subtle perfection. Not only this, each successful case is scripted, studied, and preserved as a benchmark for future resolution purpose due to we ensure you to recover your lost, deleted, formatted, or corrupted data such as documents, emails, videos, audio, photos without compromising on confidentiality. Our service cost is competitive, and recovery is quick. With over 15 branches across India, and successfully recovering from 35,000 data recovery cases, we plume ourselves into being the top data recovery service providers. Our data recovery centre Bangalore caters to Multinational firms, Private customers, Students, etc., and churning out over 300+ successful recoveries in a month. Shored up by our expert research and development unit, Stellar Data Recovery Bangalore troubleshoots and recovers several data recovery cases with ease. Our client’s classifications are for both individual or business organisation. The segregation belongs to the fact that an individual is a single person who has their data from personal storage devices like external HDD, mobile, SD card, pen drives or laptop etc. Business organisations need our services for storage media devices like laptop, External Hard drives, or Complex RAID, NAS server. You’ll be amazed to know that we, at Stellar Data Recovery Bangalore, receive myriad of cases in which data loss occurs from the hard disk drive, and this is because the hard drive is ubiquitously used, and has enormous storage capacity, and is low in price. You can find the storage medium present in PC, Mac, DVR, and other diverse devices. And, the electromechanical nature of the HDD makes it more prone to failure, which can be either logical or physical. Logical failures to access data can be quickly dealt in the normal environment using a professional data recovery software, but physical failure cases demand advanced tools, technology, and infrastructure, which are available only in specialized data recovery service providers like us. You can encounter numerous local-market vendors that recover data, but these vendors do not pay attention to data privacy laws and regulation and end up using, selling, or misusing your personal or official data. For the organisation, data is the lifeline of the business. The repercussions can be in the form of data loss, productivity loss, financial loss, reputation loss, and even shutdown of the company. Trusting a reliable and certified data recovery service providers—such as STELLAR DATA RECOVERY—ensures data is safe and secure. We care your data and act as per the International standards and regulations set by Governments and regulatory bodies for data privacy. This safeguards you from cybercrime, security threats, and data breaches. Why Choose Stellar Data Recovery Bangalore? We are known to our customers through our trust that we built with them, the top-notch data recovery service that we provide, data privacy that we maintain, and up to 100% data recovery success rate that we endeavour to achieve. Most users are concerned about losing their hard earned money in wrong hand without fruitful result. The same dissolves in our case as we are highly professional in our approach and abide strict no recovery no charge policy. Hence; as a value-added service, we provide free pick up and drop of storage device directly from the client’s abode and cater to even those clients who express inability to visit the centre due to lack of time, the dearth of conveyance, remoteness, etc. Being ISO certified business organisation, we ensure to bestow the best in all our data recovery process, products, and services. Our continuous improvement of quality makes us unique. It would not be surprising for you to know that we possess India’s only class 100 clean room, a controlled environment required to open “Hard Drive”. Established in 1993, Stellar Data Recovery has earned the excellent reputation of more than two-and-a-half decades in the domain of data recovery services. We are India’s number one and top-ranked Data Recovery Company of the world. We have over two million satisfied customers globally, and the number is always on the rise. Our squad of data recovery engineers are dedicatedly customer-centric, veritably professional, and highly experienced to ensure top class data recovery service across India.